“We’ll take anyone we can get, Republican or Democrat, for the special election,” said Ali Solove, an elections support specialist with the Delaware County Board of Elections. Voters in Ohio’s 12th Congressional District will have to decide Aug. 7 between Troy Balderson, R-Zanesville; Danny O’Connor, D-Columbus; or Joe Manchik, G-Dublin, to replace Rep. Pat Tiberi, who stepped down in January to head the Ohio Business Roundtable. According to one board official, as of Wednesday, July 25, there have been 3,458 early ballots cast for the Aug. 7 special election. In the same amount of time during the May 8 primary election, there had only been 2,626 early ballots cast. Solove said the board does have people that have worked the polls for years, but this election falls during a time when people are scheduled for vacations or working on going back to school, making it tough to find volunteers. She said one of her regular poll workers said their child has “two-a-day practices” and because of that, she couldn’t work the polls. According to area school calendars, Big Walnut Local Schools, Delaware City Schools and Olentangy Local Schools start back on Aug. 15, with Buckeye Valley Local Schools starting a day later on Aug. 16. Though there are only three candidates listed for the Congressional seat, the board, by statute, is required to have a full staff at the polls as if a regular election is held with multiple candidates and issues. Herron told the board the election has to run as any other regular election, which means the board is required to fully staff all 159 voting precincts that are spread out over 48 voting locations. According to Solove, also by statute, the board is required to provide 754 poll workers for elections. However, in the interest of shorter lines, the board will employ beyond the required number to get voters in and out as quickly as possible. “The keywords are they have to be seniors and 17 years old,” she said. Solove said poll workers do receive a base pay of $150 for their service on election day. According to a press release this week from Secretary of State Jon Husted, under state law, poll workers are required to participate in an education program that instructs them as to the rules, procedures, and laws pertaining to elections administration in Ohio. New poll workers must complete training prior to working an election, while those who have previously served must go through retraining a minimum of once every three years. “Poll workers are on the frontlines of our democracy and lay the groundwork for a smooth election,” Husted states in the release. The Ohio Secretary of State’s Office also assists with the recruitment of new poll workers through DayForDemocracy.com, which provides online training tools and resources for county boards of elections and poll workers as well as an online sign-up for Ohioans to become poll workers. To date, nearly 20,000 people have signed up through the Secretary of State’s Office. 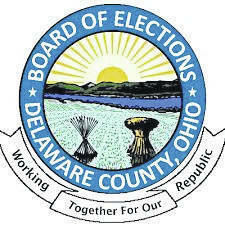 For further information or to sign up as an election poll worker in Delaware County, go to http://delawareboe.org/ and click on “Election Workers” at the top of the page. This entry was tagged 12th Congressional District, Ali Solove, August 7, D. Anthony Botkin, delaware county, Karla Herron, Special Election. Bookmark the permalink.